As part of The vision of Ballarat Christian Fellowship to be ‘a place of community, a place in the community’ we are involved in a number of local and international community programs and projects. The purpose of the Hilltop Music School is to provide a variety of quality music/instrument lessons for an affordable price. Drum, Guitar, Piano, and Singing lessons are available. Nic began learning drums from the age of 10. After less than 2 years of learning he had already begun playing regularly in a casual band environment. This environment was invaluable experience in shaping him to be a drummer who is sensitive to the direction of the music, and what other instruments around him are doing all the time. Drum lesson are highly sought after – book a spot today so as to avoid missing out. Phil Johnston has over 30 years experience and teaches up to 70 students per week on a regular basis. Phil teaches many different genres, but specialises in Rock and Pop. Additionally, Phil has a background in Musical Theatre (acting and directing within local theatre contexts over many years), which he also specialises in teaching. If you have always wanted to start or continue singing lessons or vocal training, it is never too late to do so. 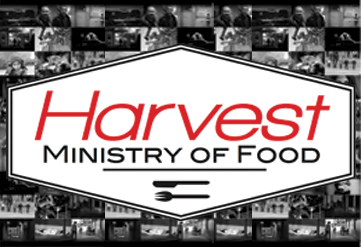 BCF partners with Harvest Ministry of Food to provide a Meal for the needy every Thursday Lunch time from 11:30am – 1:00pm, and a Food Bank each Friday from 1:00pm – 2:00pm. Harvest Ministry of Food is a response to the specific needs identified in the local community. It aims to engage and work alongside the local community to ensure that no family, friend or neighbour goes hungry. Ballarat Christian Fellowship head up a team of volunteers who serve breakfast to students at Phoenix P-12 Community College (formerly Sebastopol Secondary College) 4 mornings a week.